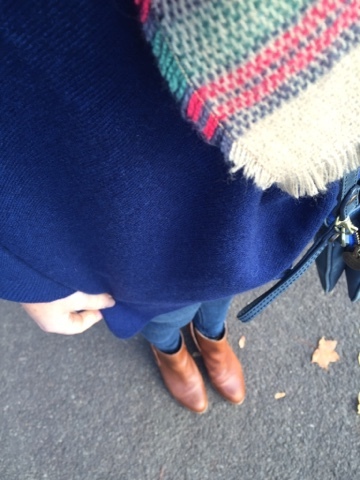 The freezing office at work has drawn me to all offers of cashmere and wool knits...have you noticed? 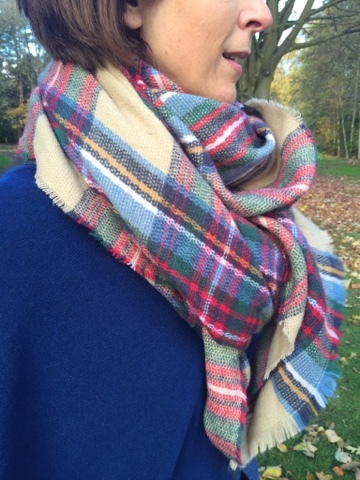 I am always cold anyway, so working in an baltic office is a poor outcome for me BUT as the weeks have gone on and the temperature has plummeted, I've realised that it's nothing you can't dress for and cashmere, wool, thermals and layers have become my friends. 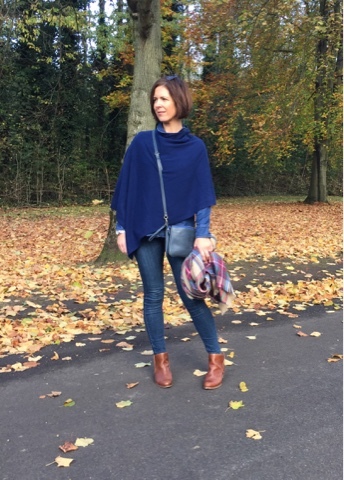 I was invited by Woolovers to select a piece from their Cashmere collection recently and as I've been wearing my grey poncho lots and loving the extra layer of warmth it gives me, I decided to chose the Woolovers poncho in navy to road test. It's a very simple shape - rectangle with an opening for your head. This gives it a lovely asymmetrical fit and you can move it around then as you wish, to have it longer at either side or at the back. I find it useful to have it shorter at the side you write with so for me, it's usually on the left. Warmth-wise, it is so cosy...surprisingly toasty in fact. These photos were taken on a bitterly cold November day with a cutting wind and I was impressed by how warm it kept me. Of course, the benefit is that you can layer underneath it lots! With the work situation in mind, it doesn't have the bulk of a coat where you need to take it off when you go indoors. This is something you can wear all day long, at the desk, in the kitchen, at a meeting etc. and it's brilliant for driving in. So delighted to have this addition to my wardrobe and I'm currently on the look out for a scarf with this exact blue along with some black so that I can wear it that way in a more formal outfit for work. 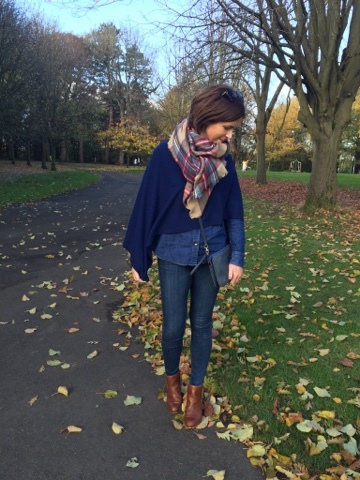 Back soon with a competition! 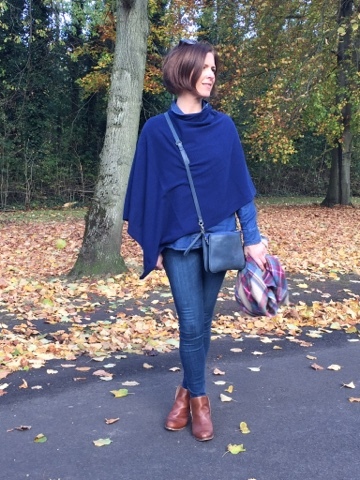 Disclaimer - the poncho was a gift from Woolovers but I was not paid to blog about it. All the words are my own! Thanks for supporting the brands that support this blog. Win a Bog Standard 3-Wick Candle! 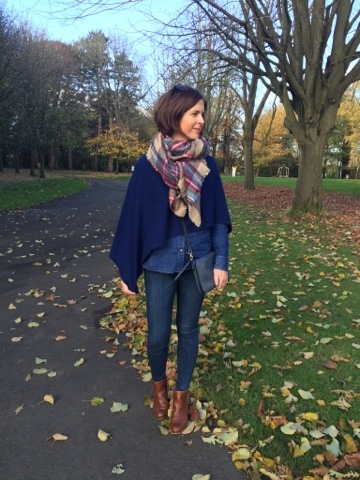 An entire outfit for less than £100?